The Central Library was pleased to attend the 2016 Jean Monnet Network ‘PACO’ conference. Organised by Maastricht University, the Leuven Centre for Global Governance Studies of the Katholieke Universiteit Leuven, and Sabanci University, this two-day conference brought together academics from a very impressive list of international universities to debate the topic of parliamentary cooperation and diplomacy in Europe and beyond. As the EU has become a progressive player in international relations thanks to its extended powers in the field of external relations, the Lisbon Treaty has underlined the increasing need for more inter-parliamentary cooperation between the European Parliament and national parliaments. It is becoming clearer that they must exchange information regarding both the EU’s external action and their potential to scrutinise that external action. This conference was an opportunity to discuss these developments through an analysis of parliamentary cooperation and diplomacy both at EU level and within other European and international organisations. 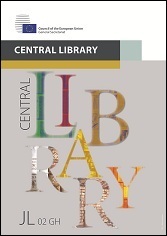 For further reading, go to the catalogue of the Central Library to explore our collection. Below we present a selection of some of the presentations given during the conference. Ian Cooper (European University Institute, Florence) opened the discussion by drawing attention to the fact that the number of inter-parliamentary conferences (IPCs) has tripled since the late eighties, bringing the total up to nine. As recently as 2012, two new conferences have been created: the IPC for the Common Foreign and Security Policy (CFSP) and the Common Security and Defence Policy (CSDP) in 2012, and the Conference for Economic and Financial Governance in 2013. There is also a new mechanism for oversight of Europol that is planned for 2016 or 2017. Cooper pointed to their size, scope and indicators of their influence as reasons for paying attention to them: they are permanent, meet twice a year, have footholds in the treaty, and are attended by hundreds of MEPs. COSAC (the Conference of Parliamentary Committees for Union Affairs of Parliaments of the European Union) even has its own secretariat. To add to all of this, they are almost always attended by a top official from either the Commission or the Council. They provide scrutiny, but this is a soft oversight function as they have no coercive or legislative authority. Nevertheless, they do have the power to influence EU policy. Claudia Hefftler (University of Cologne) pointed out that inter-parliamentary cooperation is seen as one possible solution to the EU’s democratic deficit. However, there is little incentive for national MPs to participate in inter-parliamentary meetings in terms of policy, office or votes. In fact, it is difficult to ascertain what motivates them to participate. There is very little media attention paid to these meetings, so MPs cannot demonstrate their activities to the electorate. It is also very resource-intensive, with a lot of expenses and time spent on travel, etc. COSAC is the format with the highest level of participation and most frequent attendance rate, as it is the network for the chairs of European Affairs Committees. Some possible functions of inter-parliamentary co-operation include: (i) information access (to other member states’ positions and best practices on EU scrutiny); (ii) coordination of positions (on subsidiarity issues and policy positions on EU draft legislation); (iii) networking (establishing contacts with MEPs and other MPs). In his presentation, Dirk Peters (Peace Research Institute Frankfurt) attempted to examine the effect of the IPC for CFSP and CSDP. Peters had to come up with his own analytical framework to make better sense of it, dividing his analysis into three strands: ‘actor’, ‘network’ and ‘symbol’. As an actor, at its most basic level, it can ‘do things’. It can extract information, hold debates and make decisions. Its role as a network is frequently mentioned in the literature. It brings together MPs from different levels so that information and ideas can be spread between MPs themselves (who come and return pretty often), and also between MPs and MEPs. It can also help these MPs scrutinise the executive. Its role as a symbol is looked at less often. This is a performative role, meaning that it can change the process by merely existing. The role of MEPs within the IPC is currently up for debate, but since there are currently 168 seats for MPs and only 18 for MEPs, it is clear that the IPC is in the domain of national politicians and not European politicians..
Lorinc Redei (University of Texas at Austin) elaborated on the fact that the European Parliament has become increasingly engaged in international mediation, which has not been discussed in the literature so far. Despite the fact that this is not an activity we associate with legislators, the EP has institutionalised the service. Specific presentations also addressed the parliamentary activity of the European Parliament in specific geographic areas (the role of the European Parliament in the enlargement process, the Middle East, Turkey, the post-Soviet space and the Eastern Neighbourhood, China, Canada, etc.). Lastly, the final part of the conference was dedicated to the EP in inter-regional and inter-parliamentary cooperation (Mercosur, ASEAN, ACP, etc.). We invite our readers to take a look at the PACO website to see the virtual map of inter-parliamentary cooperation (VIPCO) which may be of interest.